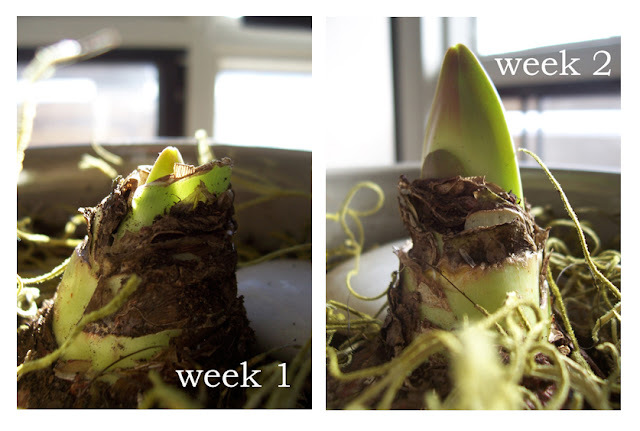 Several years ago, I started to grow amaryllis at Christmastime. I wholly credit Ms. Martha Stewart with this. I had never really paid attention to these strange South American flowers but upon closer inspection (and proper instruction!) I was lured in and am now an amaryllis addict. 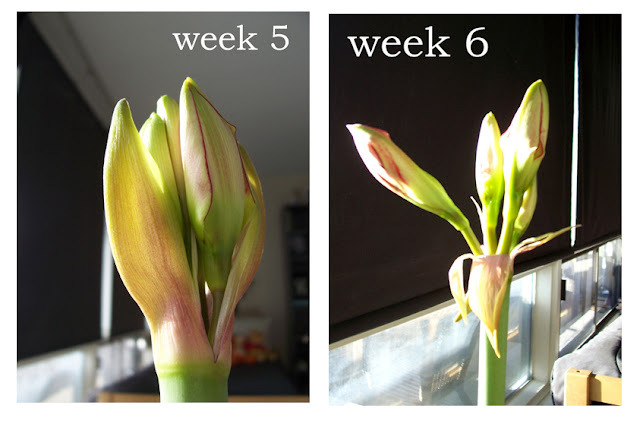 It was in Martha's "Classic Crafts and Recipes for the Holidays" that I first read about the growing instructions for amaryllis. Simple as can be! Despite their elaborate flowers, they are surprisingly easy to care for: they like lots of sun; they like little water as the stem is beginning to grow and then regular waterings once the stem is fully grown. And...that's about it. Be sure to plant the bulb in well-draining soil in a pot that is not too large: they actually like snug pots. Also, be sure to keep the top quarter of the bulb above the soil. In typical Martha fashion, I spread moss and decorative stones around the earth around the bulb. You can easily reuse the bulbs, too. Just cut the stems down once the flowers have withered and let the foliage grow out over the summer months. In September, cut off the foliage and store the pot in a dark, dry place for two months. Break it out again in November and put it in full sun. You'll soon see the new stem coming up! This year I took photographs of the growing process. I am so fascinated by this orchid-like flower. 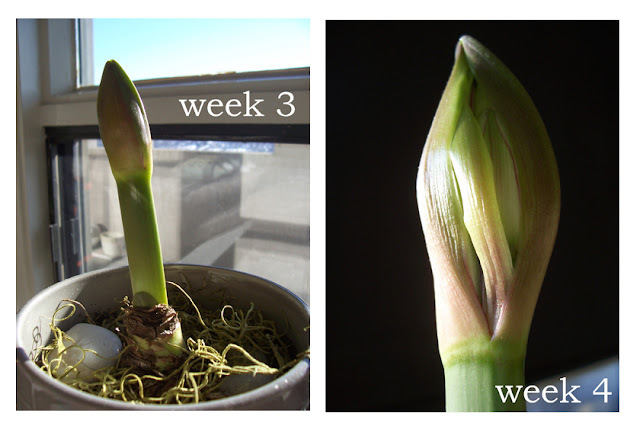 I think it's because it starts from a horrible looking bulb and emerges into this tall, boastful, brilliant flower. It's the classic Ugly Duckling story! 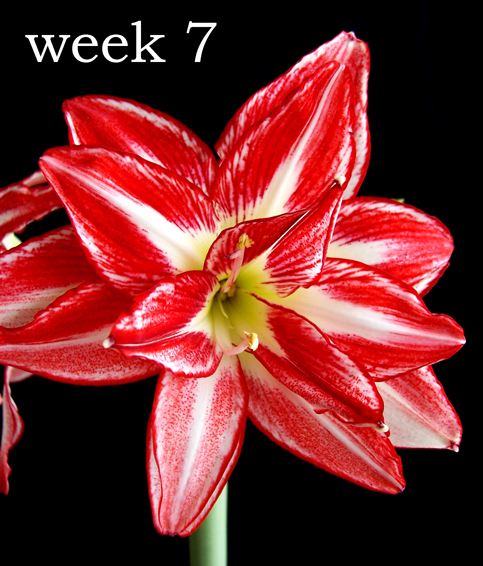 I know you'll enjoy the amaryllis, Ginaberry! They're so beautiful!